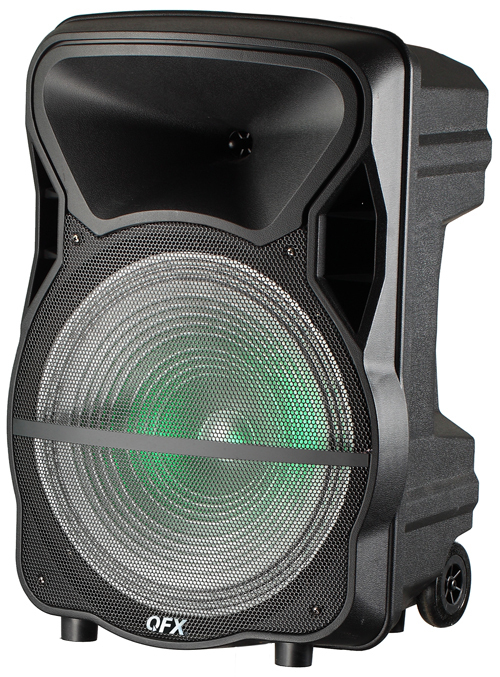 QFX’s Bluetooth Party PA booms over the competition with wireless, Bluetooth streaming or USB/SD/FM playback pumping through the 15” woofer. Customize your party experience with microphone, guitar, RCA, and Aux inputs. 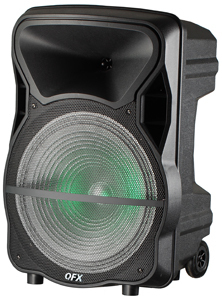 With a rechargeable battery and roller wheels, the Bluetooth Party PA is ready whenever and wherever the party leads. • Power Output: 4600W P.M.P.O.